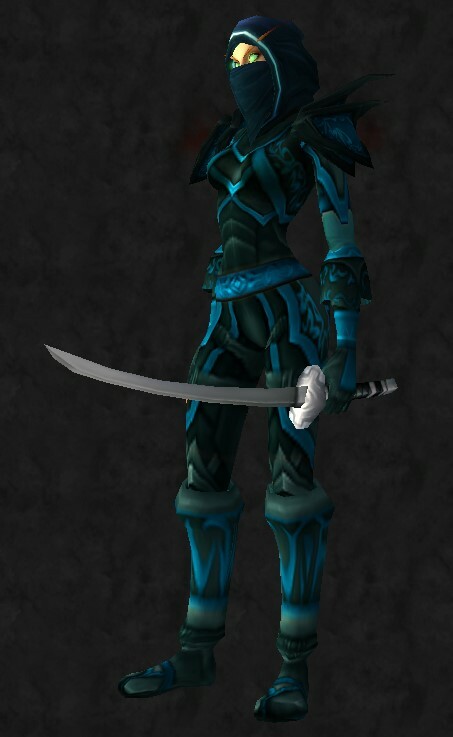 This is a blue leather ninja transmog, wearable for all leather classes. 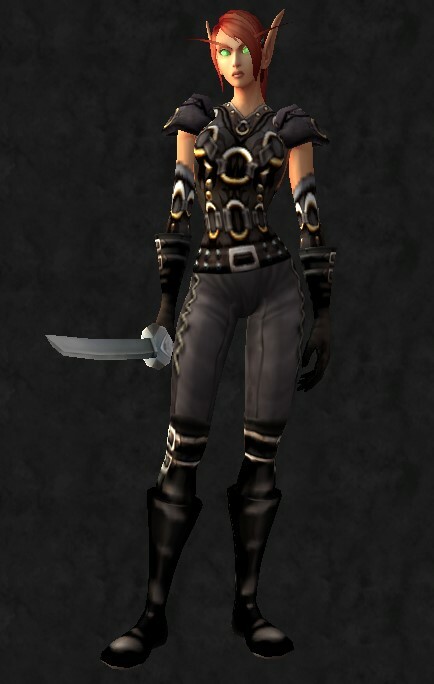 (I am so tired, I first typed out “wearable by all ninja classes…”) Ahem. 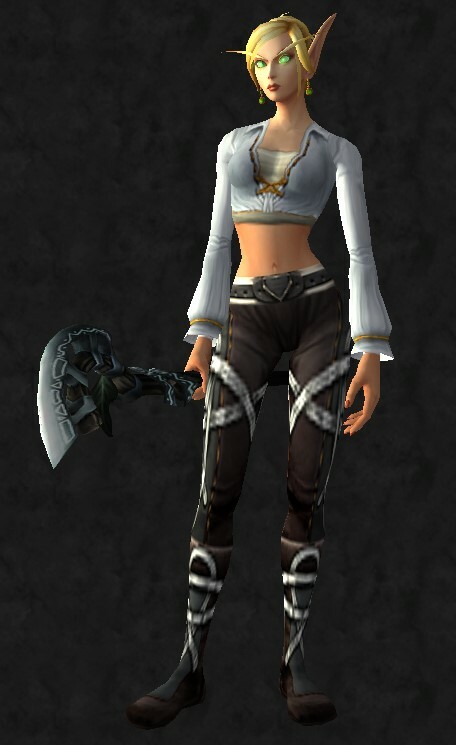 This is a pretty plain set – a black and white cloth outfit useable by all cloth weaers. 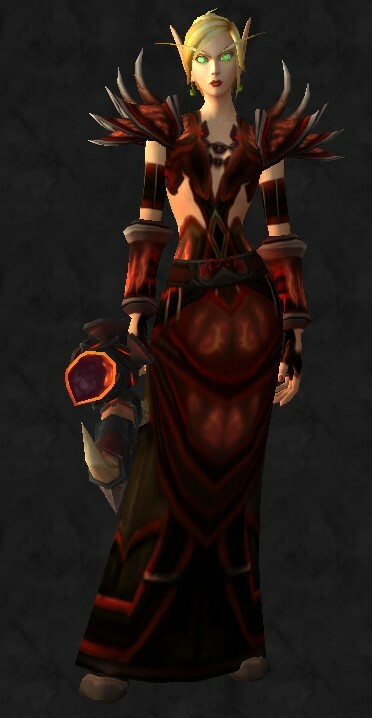 It’s kind of nice in its simplicity. 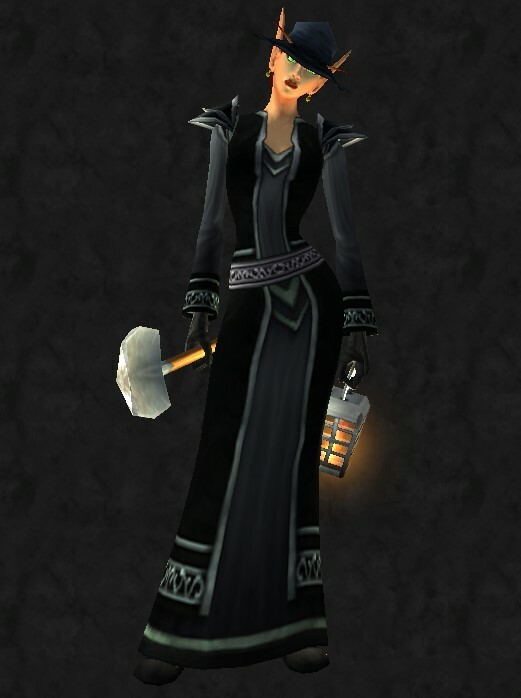 Night shift characters deserve love too. 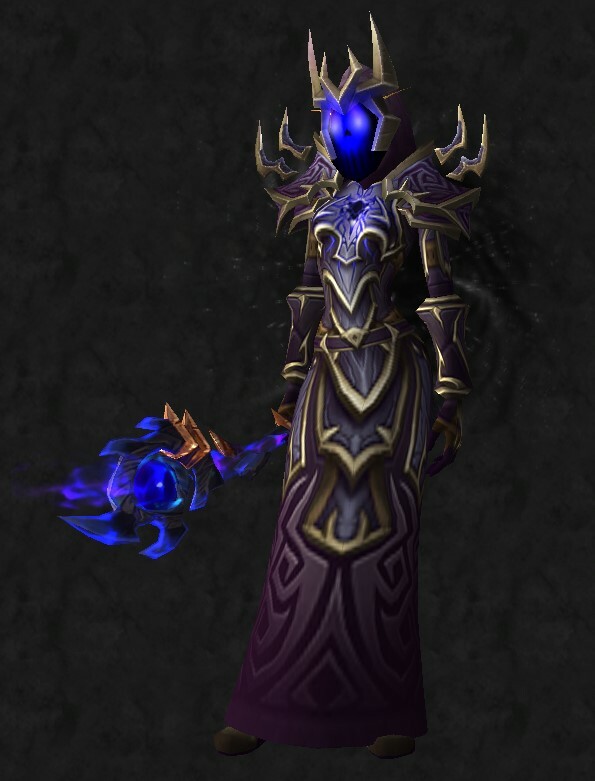 Someone’s got to bury all the mobs that everyone’s killing off, yeah? 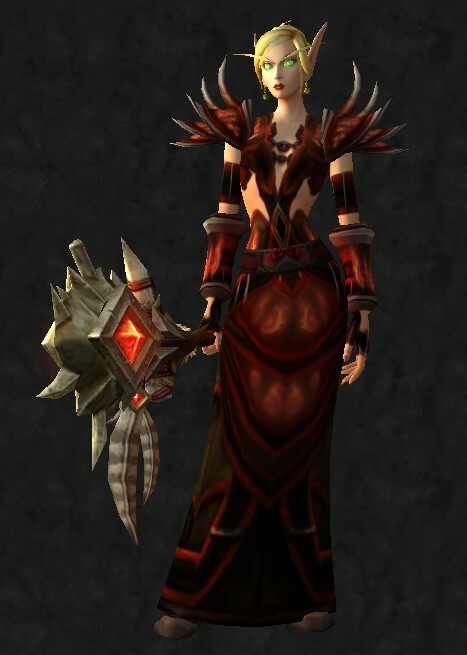 Unfortunately, the shovel is the only 1-handed mace available at this time, and it’s Horde Only. 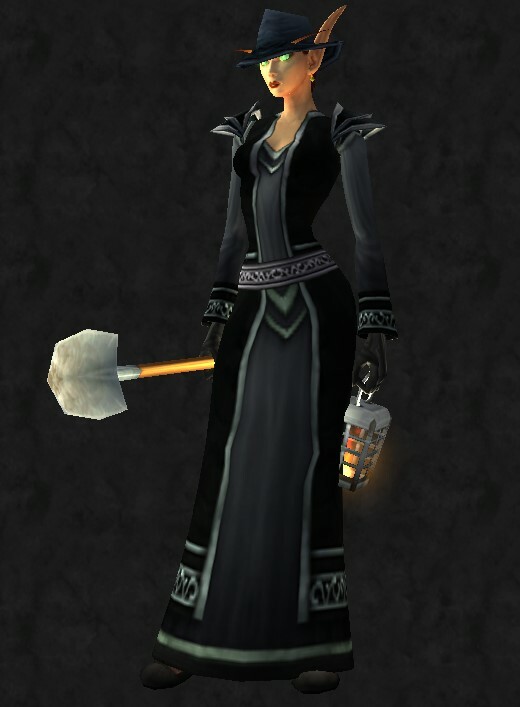 That said, if you get the shovel and faction change, you will still keep it. 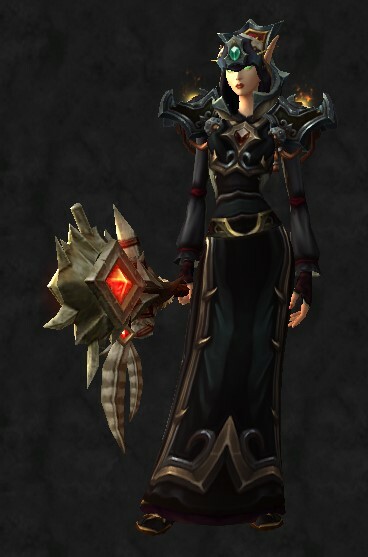 Also, the mace makes this priest only, though hopefully those transmog restrictions will lift soon (otherwise, this set is open to all casters). 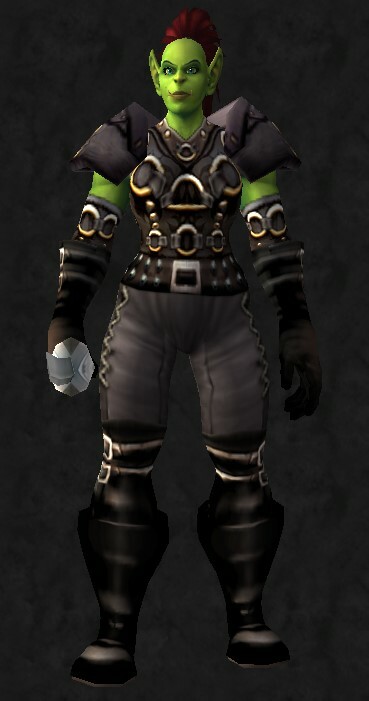 Not quite the same ring as “piggy”, but we’ll take it. 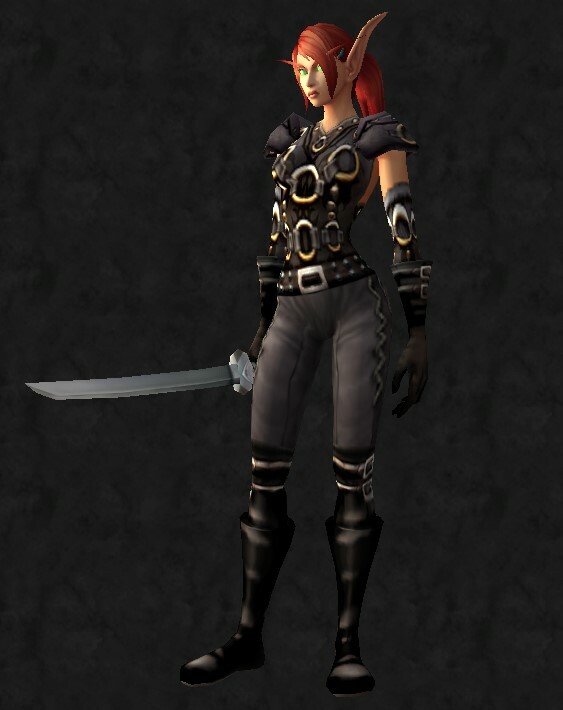 This is for all leather wearers. 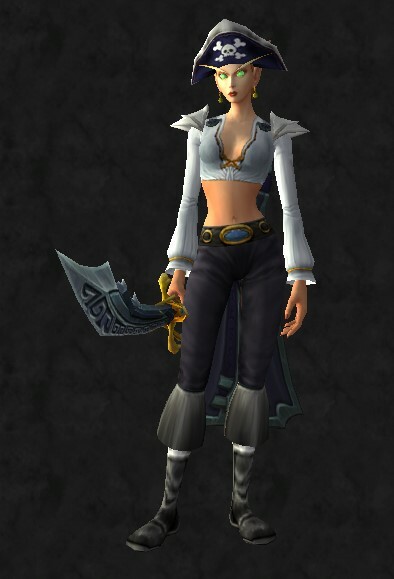 That’s actually a song to the Anastasia soundtrack, but this transmog has nothing to do with that particular princess. 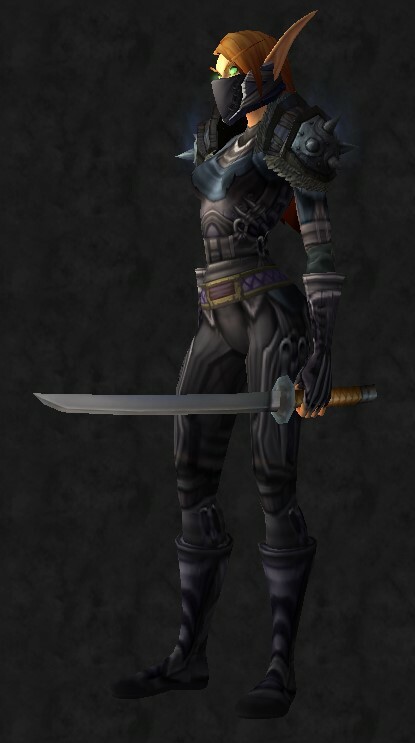 It’s a darker “Ninja” transmog, and it seems the most appropriate ninja transmog I’ve actually made so far. 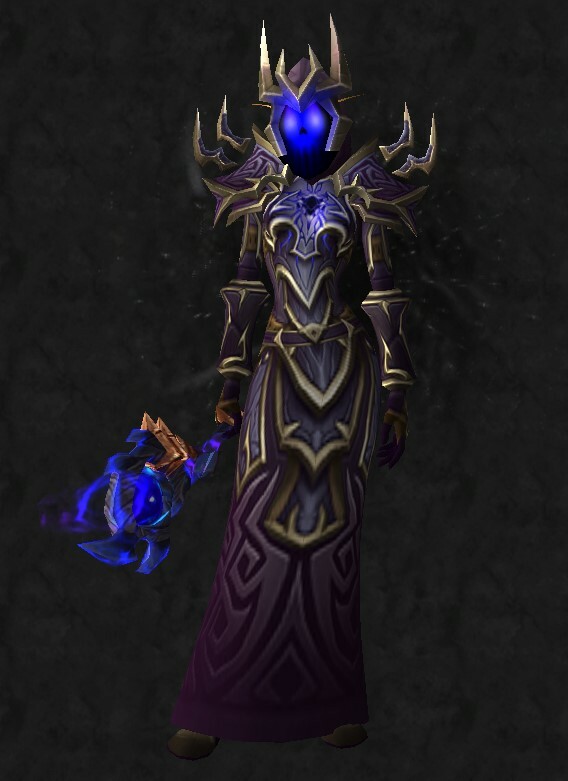 Terrible title. 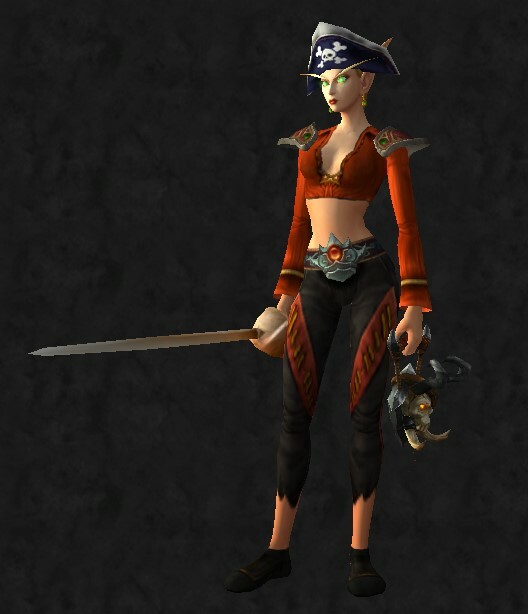 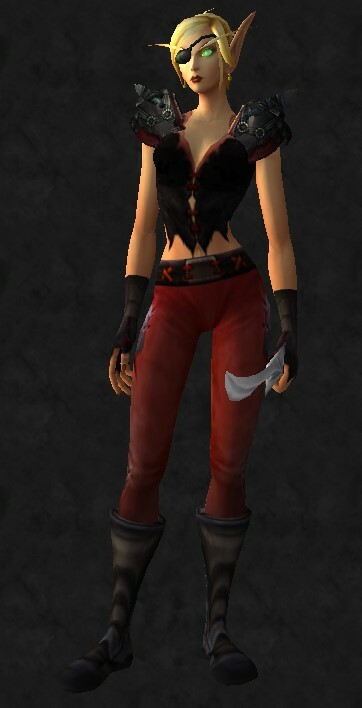 But, when I was working on pirates, I was also messing around with ninja transmogs, because…why not? 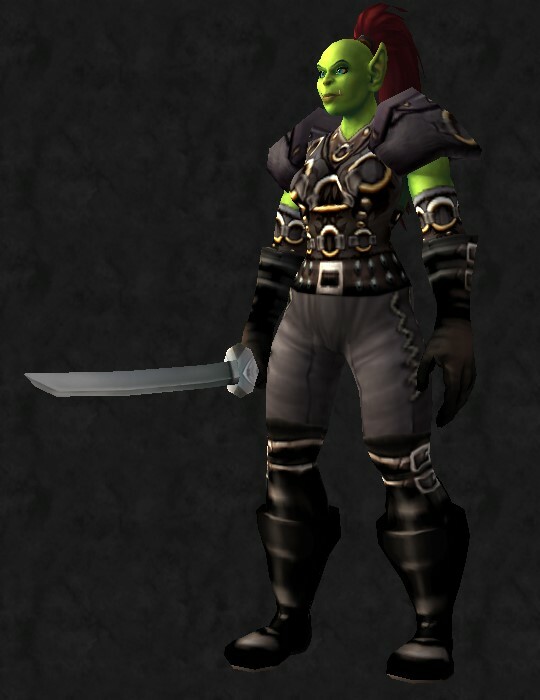 I love Gamora. 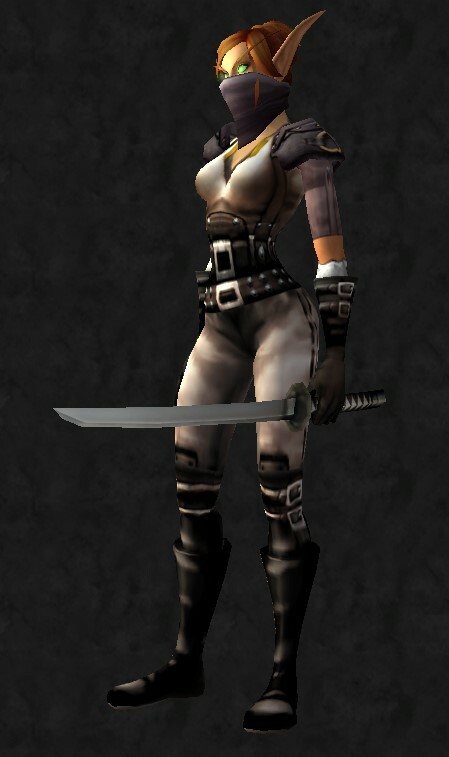 I think she’s beautiful, badass, and – let’s face it – she’s got some pretty big guts to pull the kinds of stunts she does. 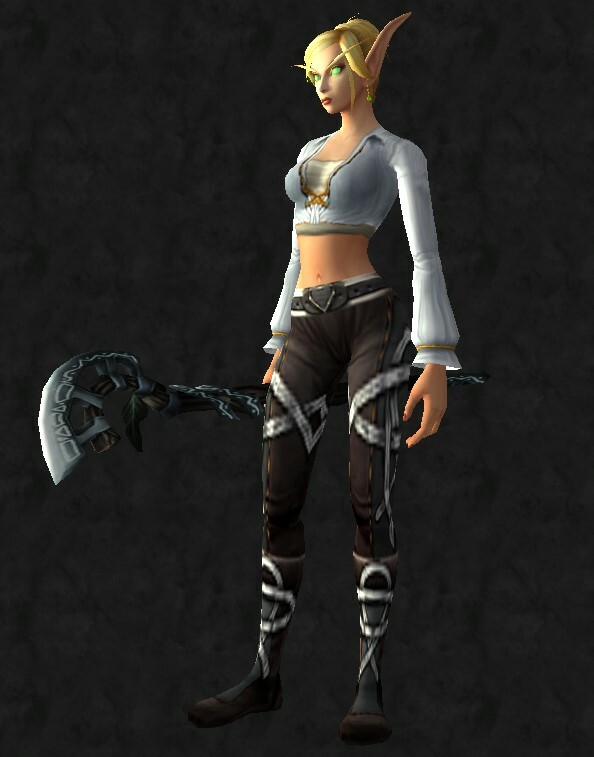 If only Blizzard could get with the program and start offering such amazing clothing, I’d be a happy camper. 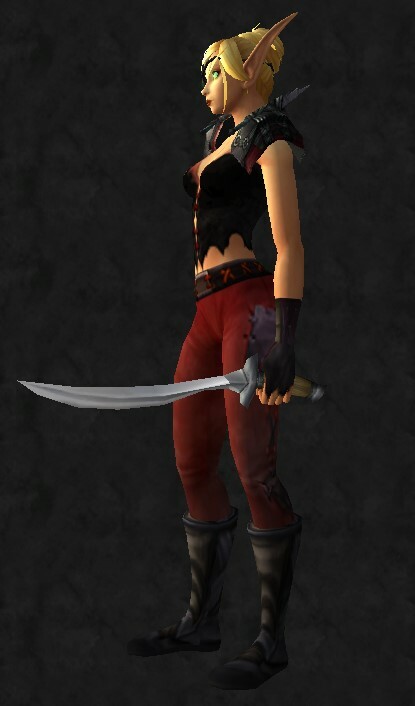 Nevertheless, here’s a transmog based around Gamora (and her awesomeness). 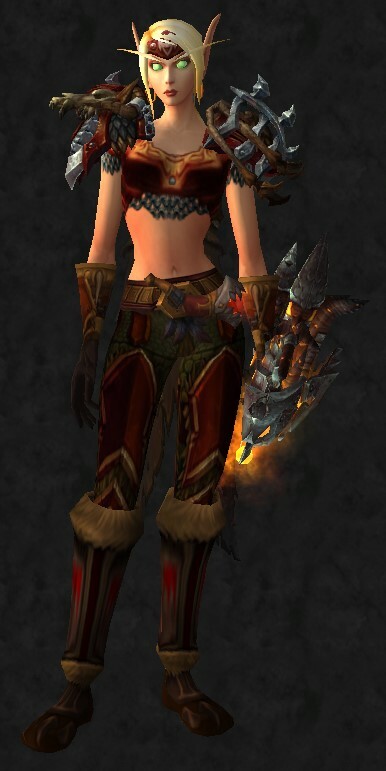 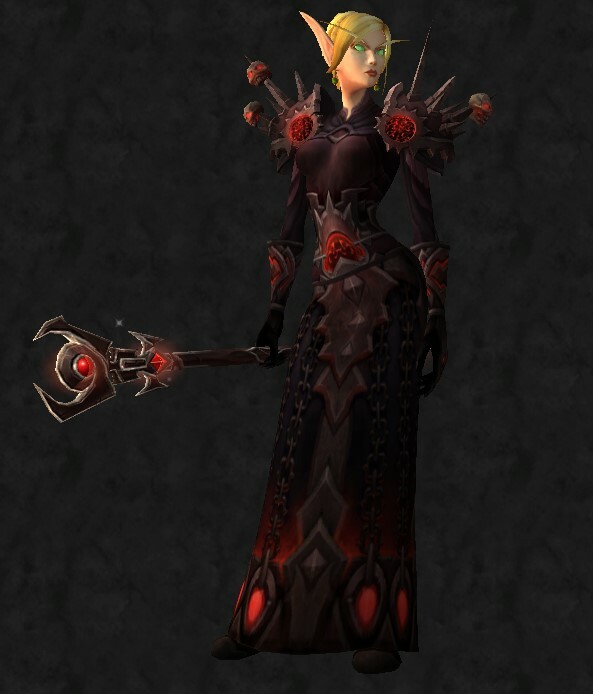 So this transmog, I made at the request of a guildie. 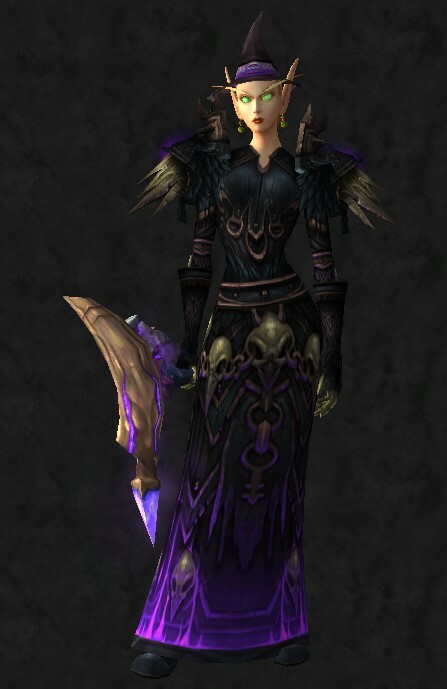 They wanted a dark colored cloth transmog that went well with their troll model. 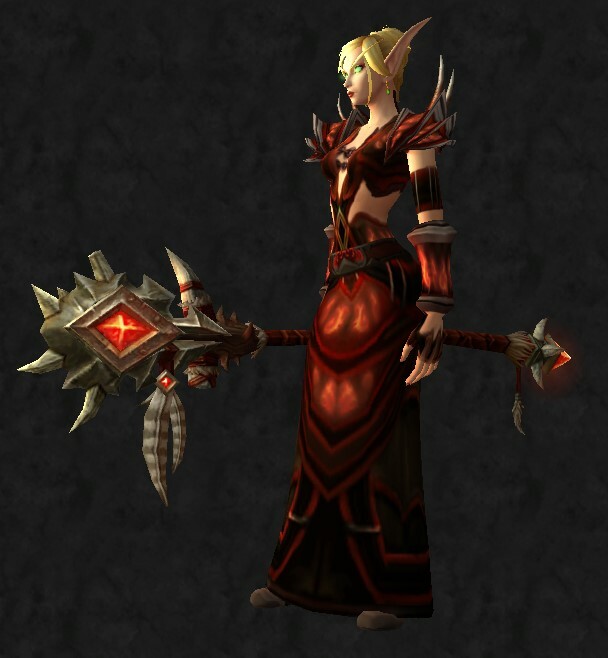 (Naturally, I forgot to take a picture of this on a troll, so it’s on the blood elf. 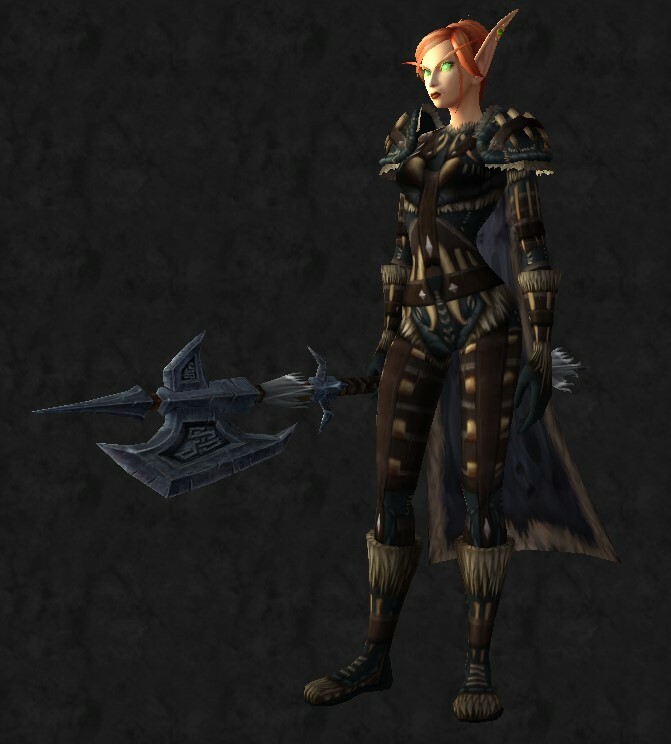 But it did look wonderful on the troll – at least, the male!) 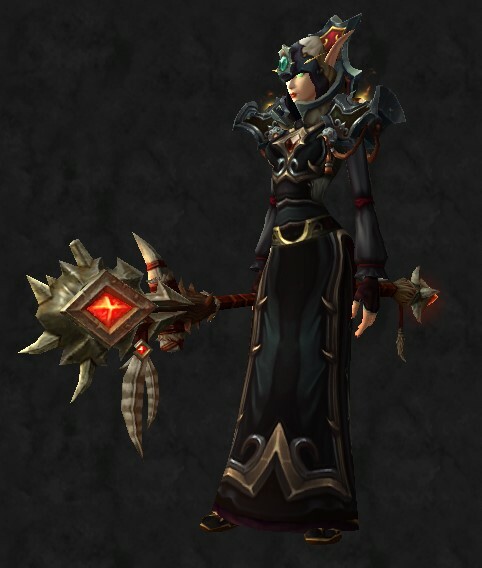 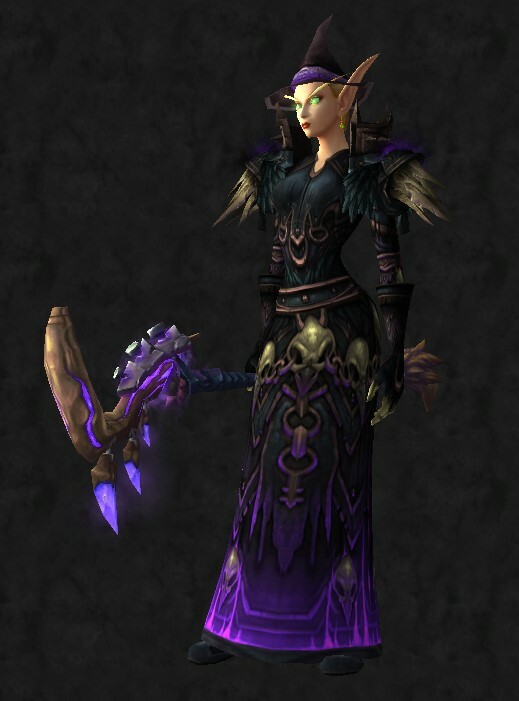 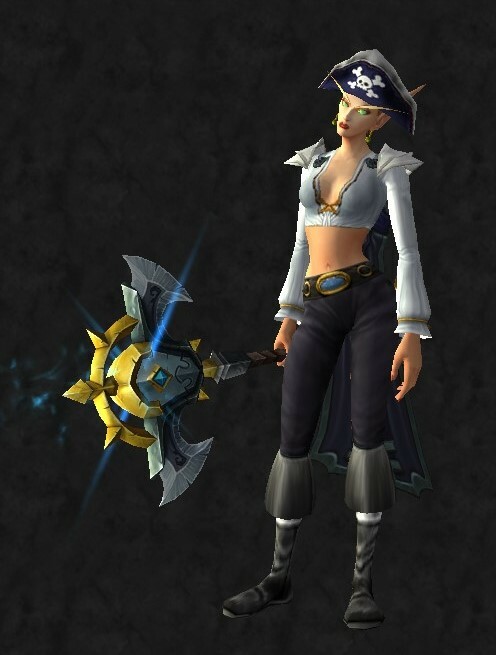 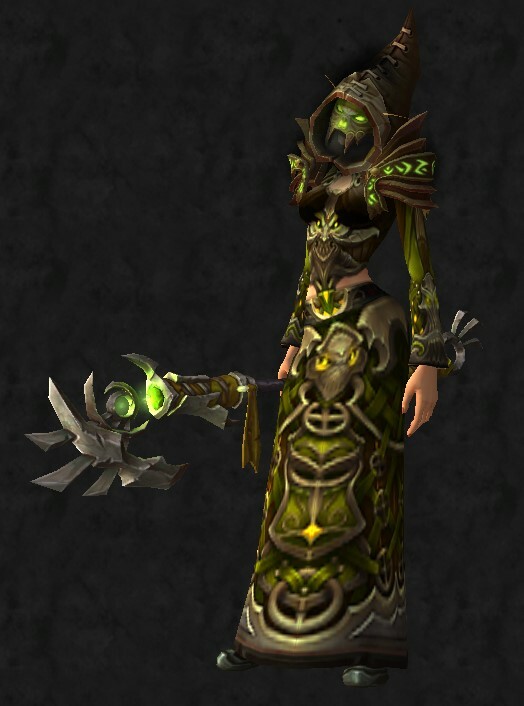 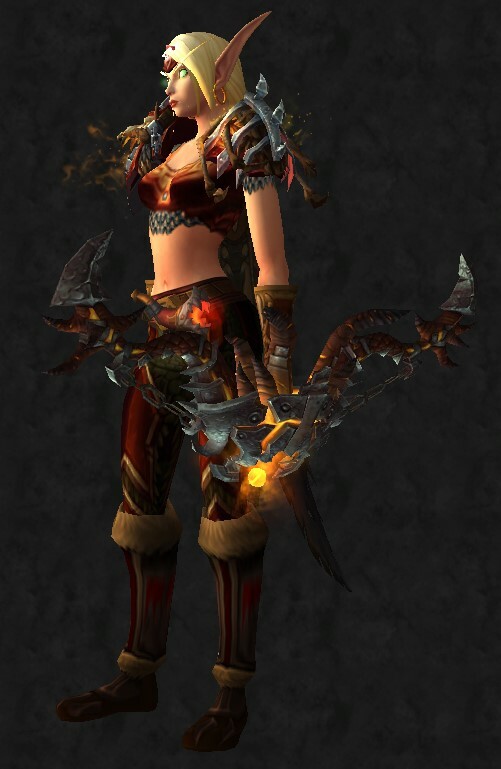 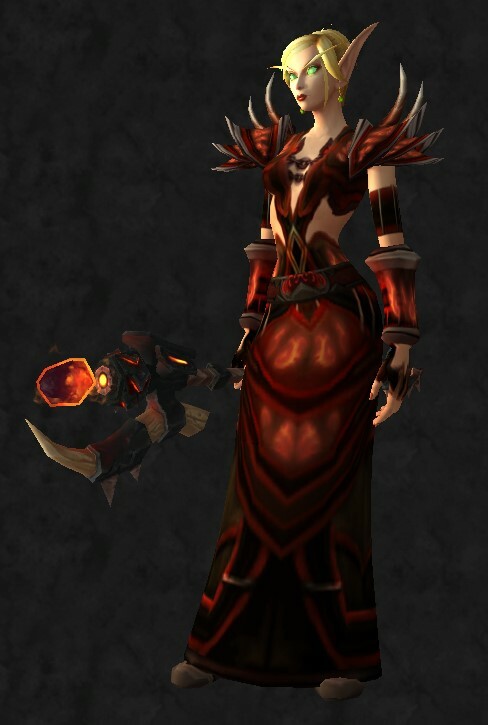 This outfit can be worn by all cloth wearers, though this particular staff is Horde Only. 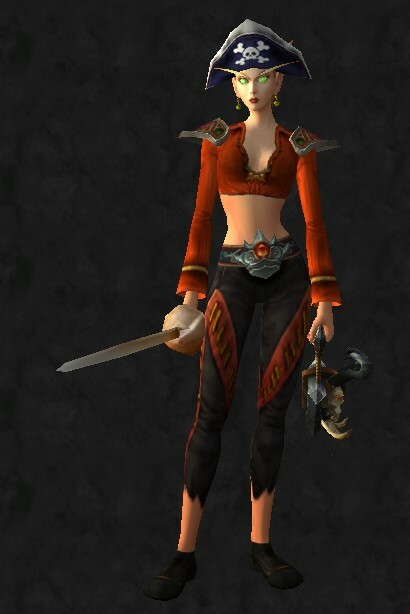 This is an orange pirate-based set that was actually a bit tricky to pull together, but I really like it now! 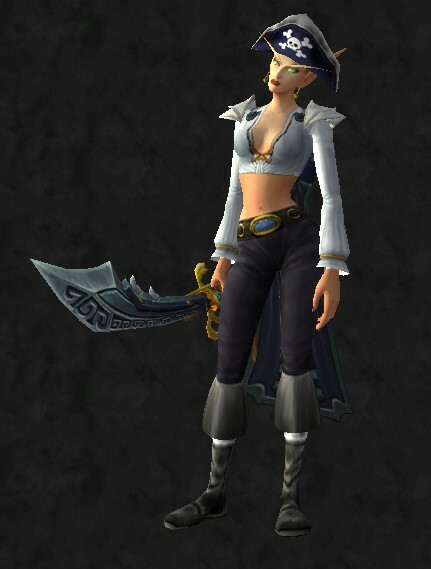 I wanted to make a set based off of the Corsair’s Overshirt – one of the few “pirate” type shirts in game that’s actually a transmoggable chest, and not just a shirt. 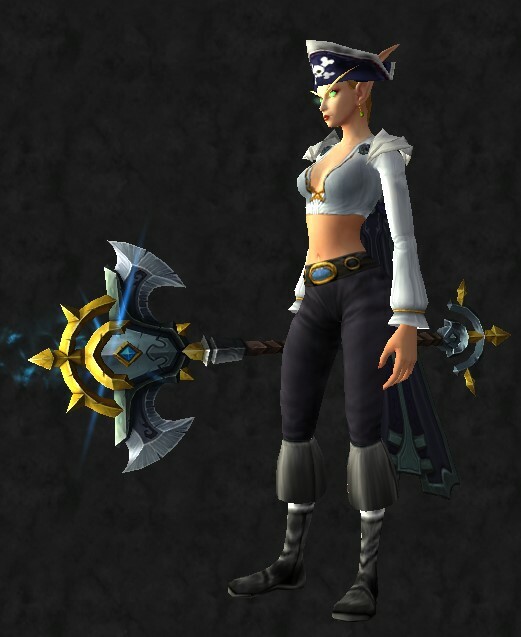 I know there is such an abundance of pirate-themed posts lately! 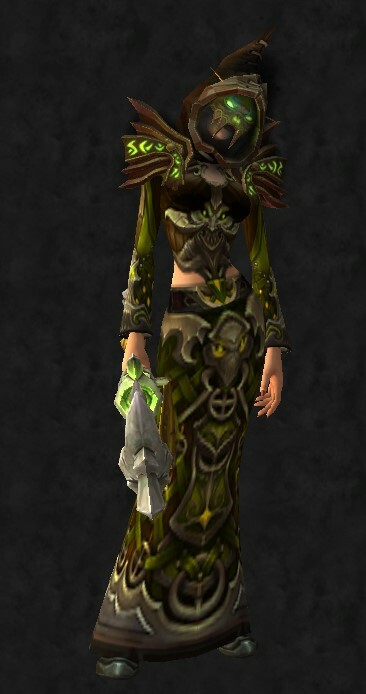 I worked on this collection quite a bit when I was out of commission for typing – so there are more transmogs – but they won’t entirely be cloth once I’m done with this batch, at least! And here’s this same set, only with Steelforged Saber (Created through Blacksmithing).